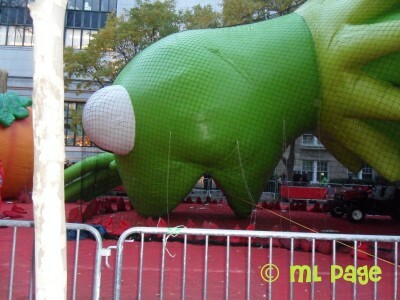 Picturing Disney: The Macy's Thanksgiving Day Parade Big Balloon Blow Up! The Macy's Thanksgiving Day Parade Big Balloon Blow Up! With so many people traveling to the greatest city in the world during the most magical season of the year- the thought of finding a spot for the Macy’s Thanksgiving Day Parade drives some people crazy! Considering the weather and contemplating trying to get a hotel with a view can make or break people’s New York vacation planning! 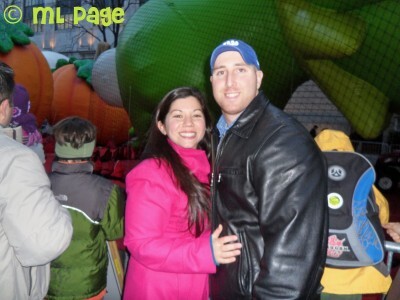 My husband and I headed down for the balloon blow up in 2010. We arrived around 4pm so that there was some air in the balloons already but we still beat the bigger evening crowds of everyone grabbing their kids after work and heading down. 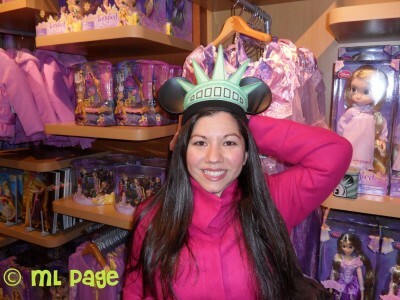 We were able to see some of our Disney (like DCL Mickey and Buzz) & non-Disney (like Kermit and Spiderman) favorites! We got to see Kermit almost completely blown up so we managed to nab a pic in front of him as we made our way down. You can get pretty close, get lots of pictures and be in awe of the size of the monstrous balloons! It is sure to be the highlight of your New York City trip! And if you live within driving distance (or a train ride) I would say this is a MUST for an upcoming holiday season! 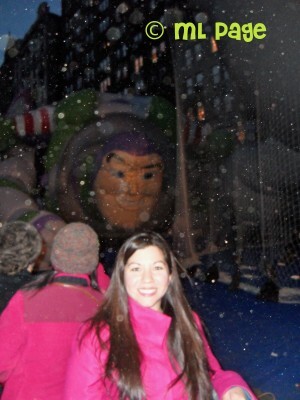 We even had a tiny flurry of snow as we made our way down the second row of balloons! And they pipe Christmas music in as you are walking the short block to the 2nd row of balloons! Remember if you get down there by 4 you can head out by 6 or 7 when the biggest crowds hit and grab some dinner or maybe some shopping at the Disney Store in Times Square!